I finally got around to organizing my photos. I simply CANNOT believe there are so many real weddings that I never blogged here. Let’s do something to rectify that, ok? Chris & Coelle were marred over three years ago, but their wedding was one of my absolute favorites of the 2012 wedding season. I’m going to share it with you this evening! 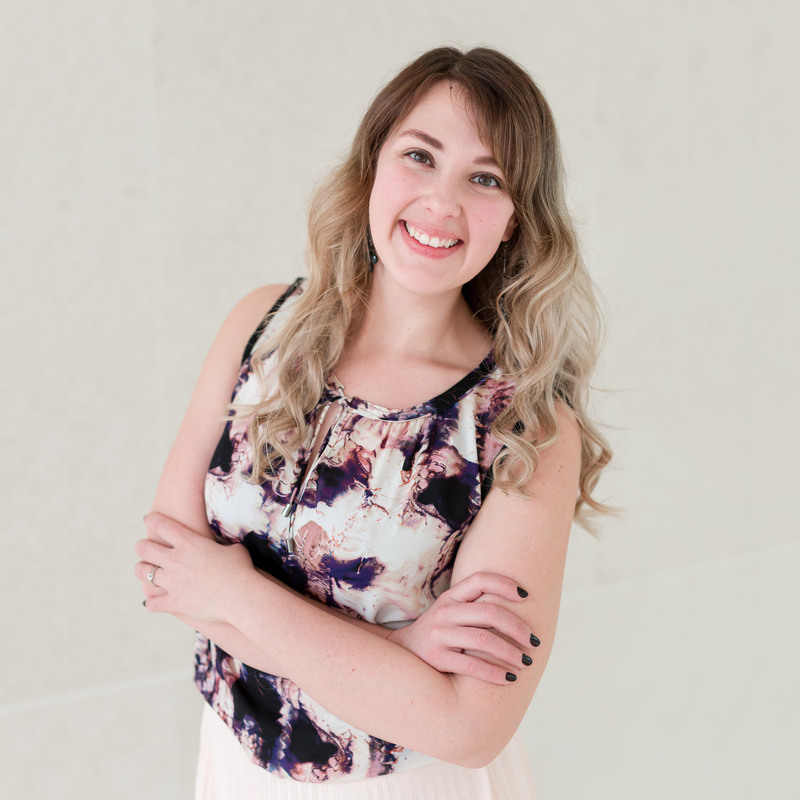 With fabulous photos by Andrea Paradowski Photography it’s no surprise this wedding was featured on Style Me Pretty! 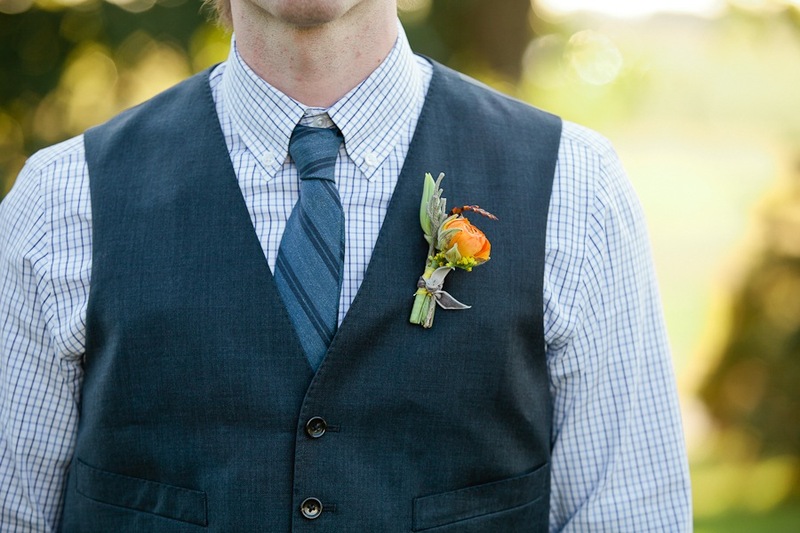 Chris & Coelle were married in the fall but I loved that they decided to do bright shades of orange and yellow instead of a more traditional fall palette. This was our first time doing a wedding at O’Brien Barn and it’s truly a lovely venue. 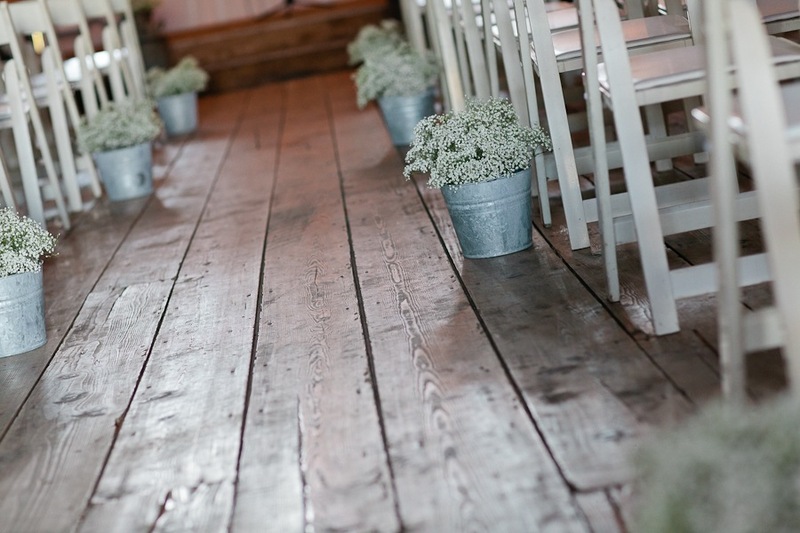 I love a rustic Wisconsin barn wedding! 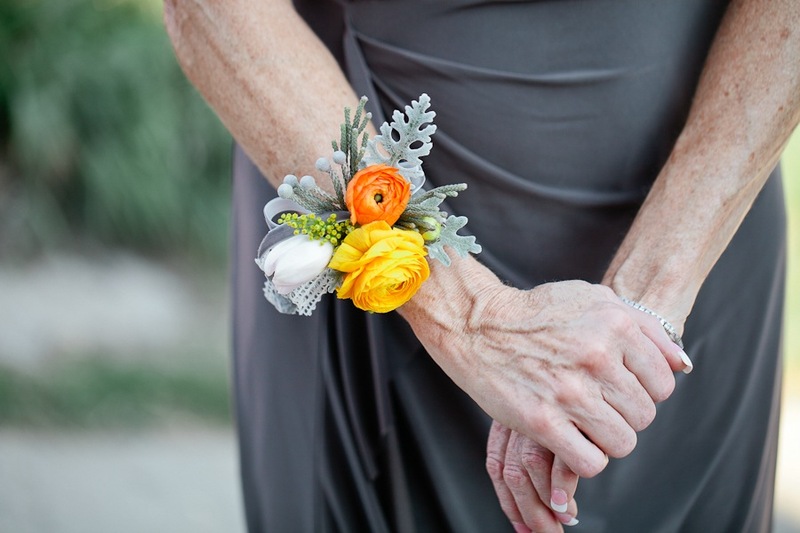 I love bouts and corsages – they are like tiny little pieces of art. Bright ranunculus pop against the gray neutrals. Chris and Coelle put so much effort into the little details. 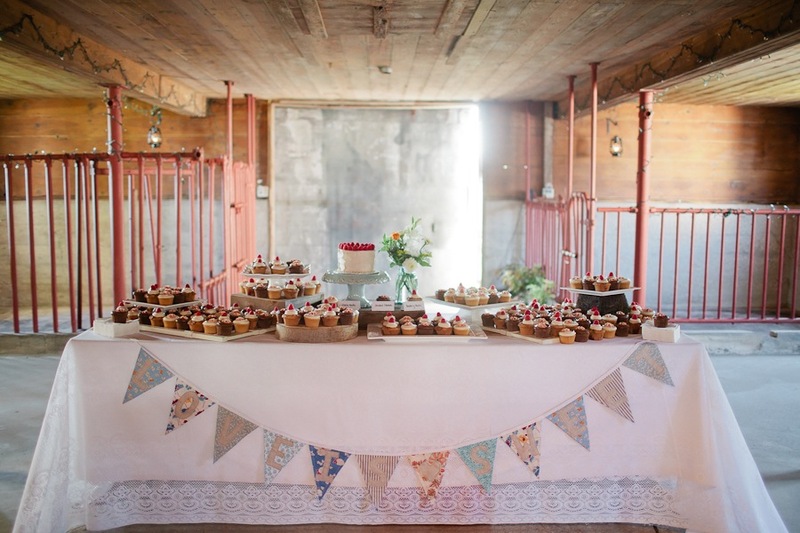 A dessert table adorned with a homemade bunting? 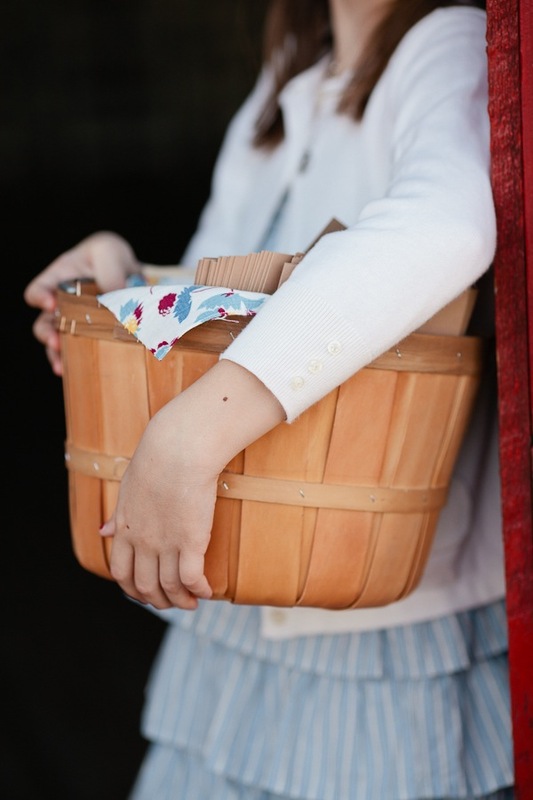 An apple basket full of programs? So cute! 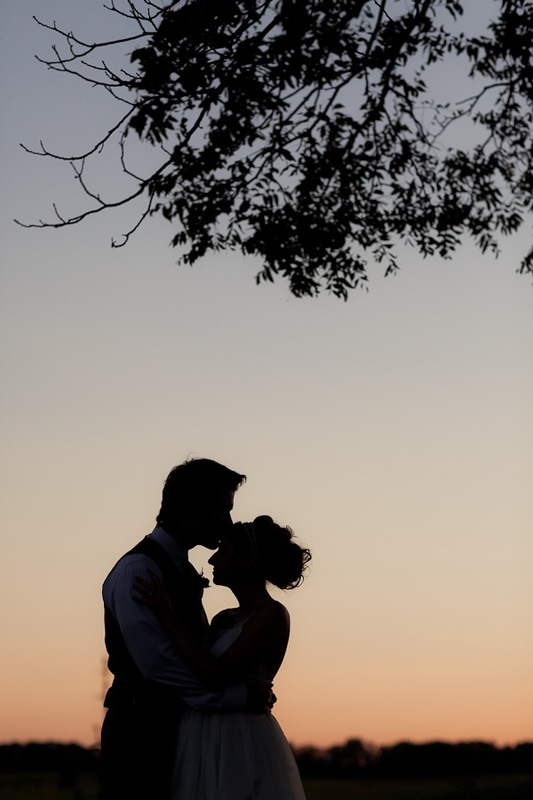 A huge congrats to Chris and Coelle, and a big thank you to Andrea Paradowski for sharing such lovely photos with us.